Two bedroom condos are about 1200 square feet, sleep 6 people, have a queen bed in the master bedroom, 2 twin beds in the second bedroom, a full kitchen, washer and dryer, a gas fireplace, a deck or patio, and a gas BBQ. Floor plans vary; some condos are single story and some two story. 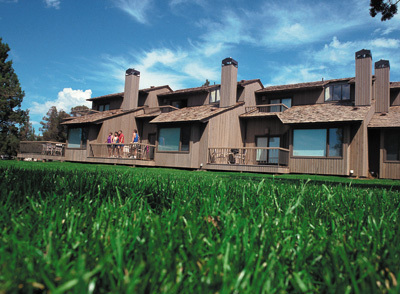 Please click here to see current availability, prices, payment options, photos and other information regarding Eagle Crest Resort Redmond Bend Oregon condo vacation rentals.